NEW YORK - The Auschwitz Museum in Poland will join forces with the World Jewish Congress (WJC) this week to project thousands of photographs of people holding signs bearing the words “We Remember”, as part of the WJC’s global social media campaign to raise awareness of the Holocaust. 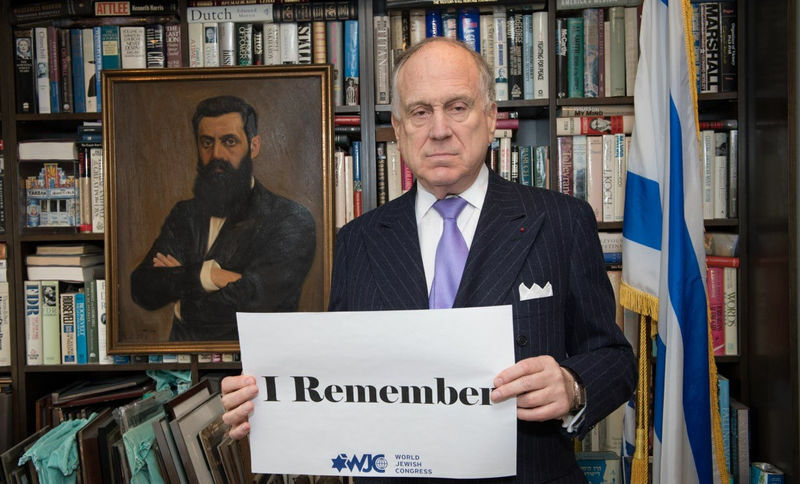 More than 200,000 people from every continent have already taken part in the WJC’s campaign, which calls on participants to post their photos to Facebook, Twitter, and Instagram along with the hashtag, #WeRemember. The projection screens will be placed beside Crematorium II on the Birkenau grounds on January 24-26, ahead of International Holocaust Remembrance Day on January 27. The event will be streamed live on the World Jewish Congress' Facebook page. “Anti-Semitism is more prevalent today than it has been at any time since World War II, and bigotry and discrimination still rear their ugly heads all around the world. This is why we all must declare, together, that we remember,” said WJC CEO Robert Singer. “The goal is to reach those who don’t know much about the Holocaust, or who might be susceptible to those who deny it entirely, and to remind the world that such horrors could happen again. Using the tools of social media we hope to engage the next generation, because, soon, it will be their responsibility to tell the story and ensure that humanity never forget." Since the #WeRemember campaign was launched on January 9, the response to has been overwhelming: more than 200,000 people from countries including Rwanda, Ghana, Morocco, Fiji, Uruguay, Chile, Latvia, Germany Kazakhstan, Canada, the United States and more have posted their photos to social media, in dozens of languages, reaching more than 100,000,000 people via social media and news coverage. Campaign participants including a wide range of European members of parliament, and officials including Austrian Foreign Minister Sebastian Kurz, German Justice Minister Heiko Maas, Belgian Interior Minister Jan Jambon, and Israeli leaders such as Defense Minister Avigdor Lieberman, MKs Yair Lapid and Isaac Herzog, Prime Minister Benjamin Netanyahu and President Reuven Rivlin. Participants are encouraged to post the photographs directly to their Facebook, Twitter, or Instagram accounts, along with the hashtag #WeRemember, or to email to weremember@wjc.org.